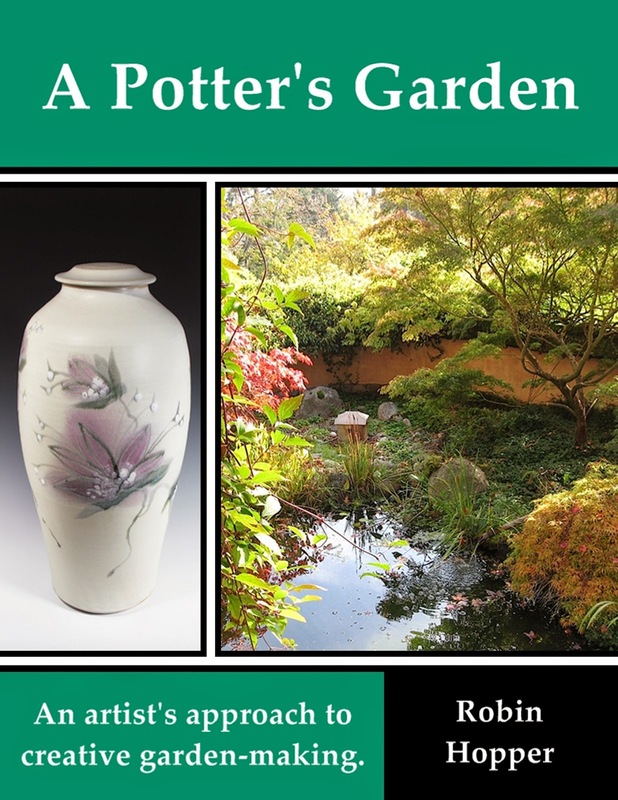 My new eBook "A POTTER'S GARDEN" was launched on Saturday, 10th January 2015. The eBook tells the story of the development of an autobiographical garden as an idea resource for much of my work in clay over a 36 year period. About 80% of the images are about the garden. The remainder show images of claywork directly influenced by the garden. The garden has been featured in many magazines, books and television programs. People have asked me to write a book about it for years. Now that I am retired as a maker of ceramic art after 60 years, I have finally had time to do it. The garden revolves around the five basic styles of traditional Japanese garden - STROLL, SCROLL, TEA , ZEN and COURTYARD, freely interpreted by the eyes and mind of an artist. Since I am originally from England and found my early training there, my favorite gardens are all in Japan, and the garden has a large range or Canadian native plants, I call its unique style "ANGLOJAPANADIAN". FOR A PREVIEW OR PURCHASE GO TO THE FOLLOWING LINK. The price is $9.99 US. The book is best viewed as a pdf due to all the images that it includes.